Round Weight AP (M59) 1.44 kg. Muzzle Velocity AP 625 m/s. Maximum Rate of Fire Practical: 90 r.p.m. 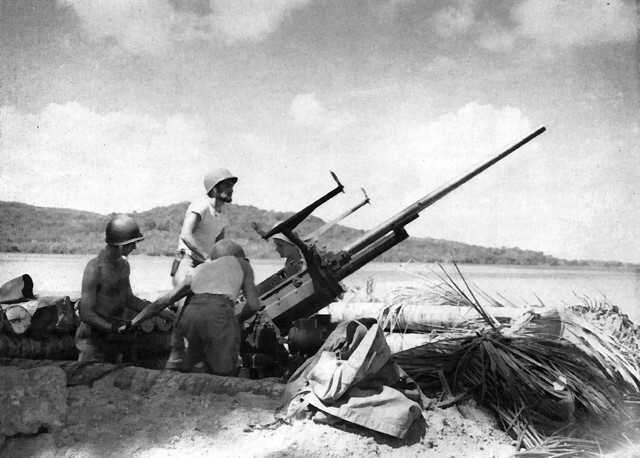 Notes Designed by Browning the 37mm anti-aircraft gun was designated the M1 and the improved M1A2 was standardized in 1938. The M1A2 was the main light AA gun issued to mobile units at the start of World War Two, it first saw action in the Bataan campaign, but by 1943 was gradually replaced by the 40mm M1.